The main and local Italian media , has dedicated a wide space to the Albanian national team. Cameraman and reporters crowded the airport of Bergamo , to capture photos of the players and the staff. Upon the arrival at ‘’Winter Garden’’ hotel , the staff arranged the schedule , and the first interviews began. RAI Sport brought the renowned journalist Sabrina Gandolfi , that used to host the emblematic sports program ‘’Domenica Sportiva’’. 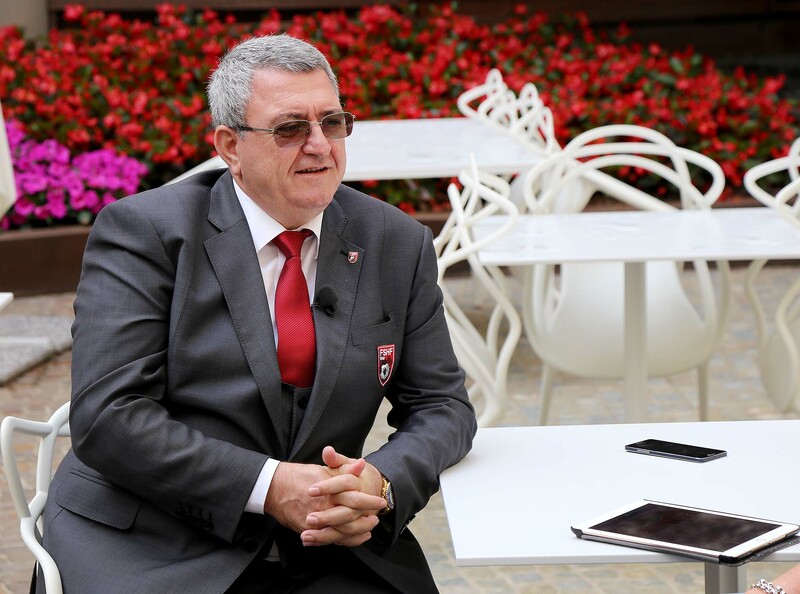 She interviewed the President of the federation Armand Duka , the coach Gianni De Biassi and the his assistant Paolo Tramezzani. A group of SKY Sport arrived , and besides the usual report , they took an interview with coach Gianni De Biasi. Other international media have showed interest for interviewing the representatives of the federation , the coaches and the players of the national team.